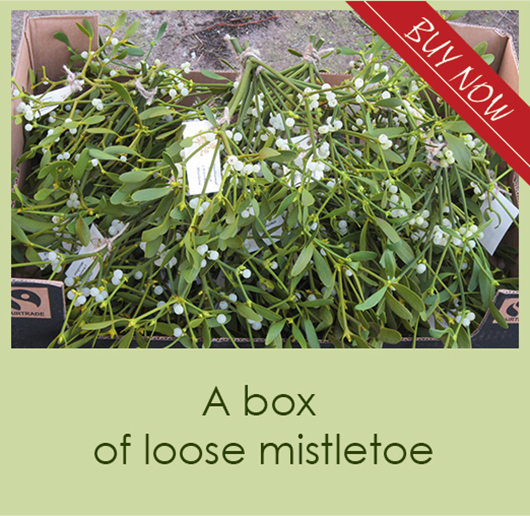 We will bunch good quality English Mistletoe saving you time. We can tag with our traditional tag or provide you with your own label. 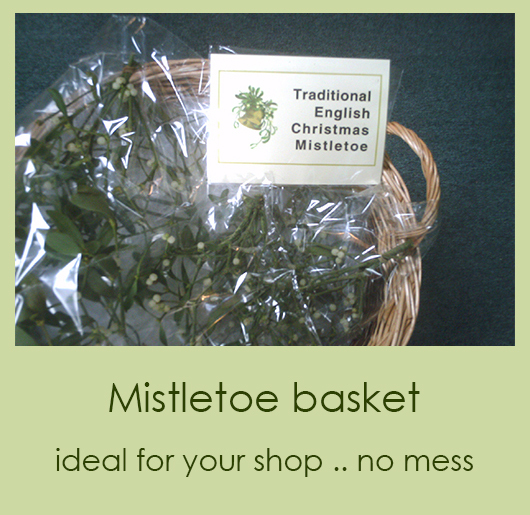 Deliveries can be made throughout The UK either mistletoe bunches, baskets and refills can be sent to most UK destinations by carrier. 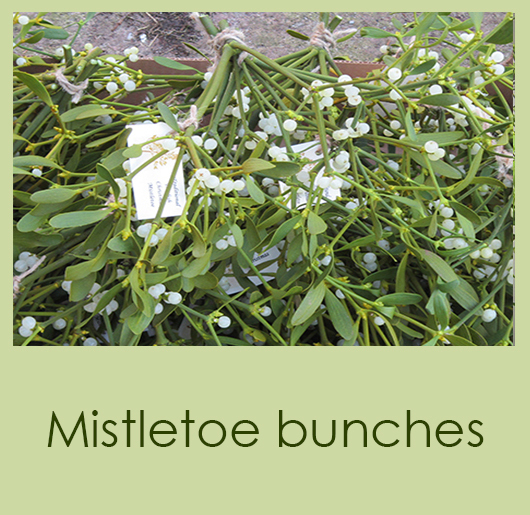 Mistletoe is an ideal pickup, spontaneous purchase item, place it near a till, walkway or doorway. Although it looks nice hung up, have some that customers can readily access as they may think it’s your display and be apprehensive about removing it. 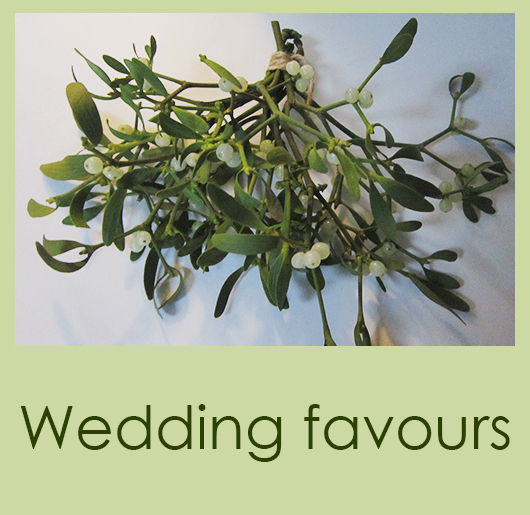 We can supply point of sale which will emphasise the traditional elements of Mistletoe and its importance at Christmas. 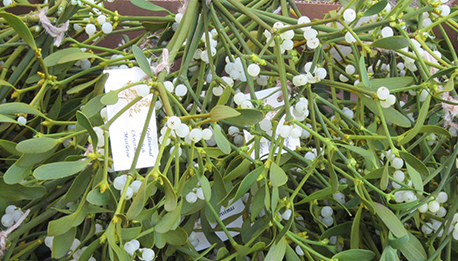 We are Gill, Gill and Paul, wholesalers of Traditional English Mistletoe. 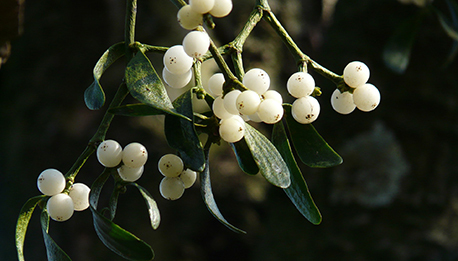 We wholesale to small businesses and do not supply supermarkets. 2018 is our twelfth year and we have many satisfied customers who have been most pleased with our product and service and come back to us again and again. We deliver throughout the UK. 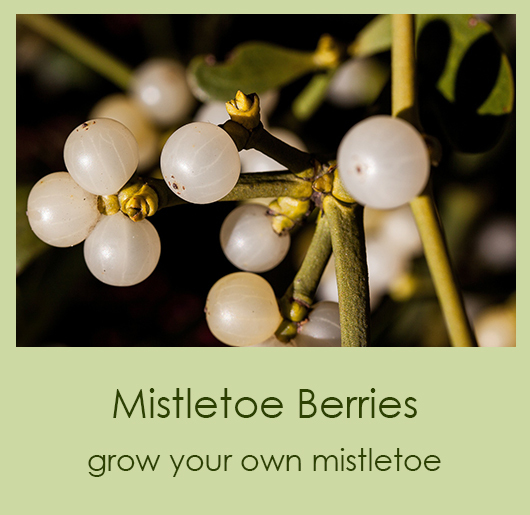 Copyright English Mistletoe All rights reserved.